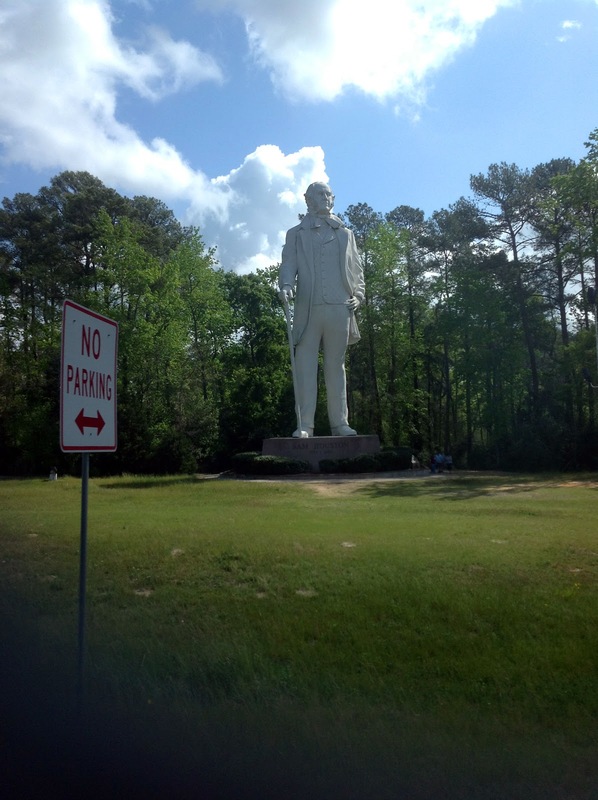 Sam Houston, depicted in steel and concrete, overlooks Interstate-45 in Huntsville, Texas. According to RoadsideAmerica.com, "Sam Houston (1793-1863) remembered the Alamo with his surprise victory/slaughter of Santa Anna's more experienced and professional Mexican Army at San Jacinto, then went on to become President of the Republic of Texas, Governor of the State of Texas, and a US Senator." His reputation was widespread, and as a result he has a whole buncha stuff named after him: the city of Houston (the 4th largest in the country), a museum, four U.S. warships, an Army base, a national forest, a historical park, a university, and this 67-foot statue. What the hell is with Texas and all the big things? Maybe it's the same reason some guys drive sports cars.